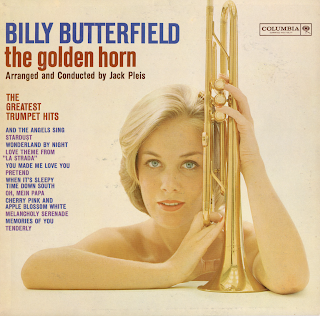 From the back cover: The golden horn of Billy Butterfield soars through twelve great trumpet hits in this exciting new collection. Billy's famous tone is burnished to a dazzling polish as he re-creates the magic of these famous solos, one of them is his own superb version of "Stardust." Billy first gained recognition as a member of the Bob Crosby Bobcats when he was in his twenties. The hit ballad "What's New," written in collaboration with Bobby Haggart, made him even more famous. Later, Billy joined forces with Artie Shaw, doubling with the famous Gramercy Five from time to time, then played with the Benny Goodman orchestra until service with the Armed Forces temporarily interrupted his career. On his return Billy found himself one of the most sought-after sidemen in New York. The demand for his services kept him close to New York radio, television and recording studios for several years, but eventually he was prevailed upon to form his own touring band. Despite enthusiastic receptions wherever the group played, Billy found his New York work more rewarding, and returned to reuse his status as one of the city's most prominent musicians. 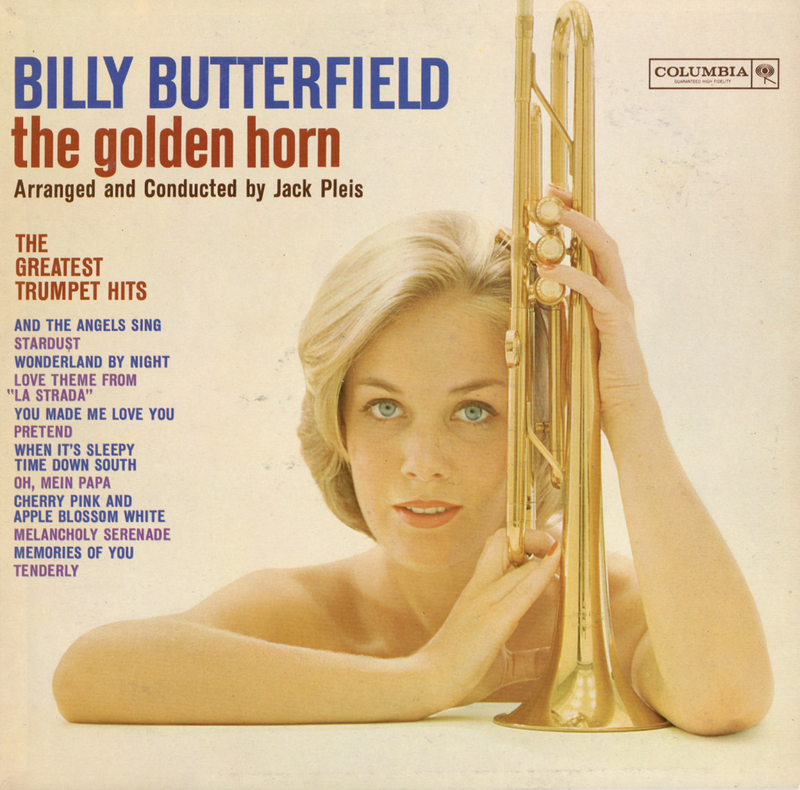 From Billboard - October 9, 1961: Butterfield's fine horn work is utilized effectively on this package, which wraps up a group of sentimental oldies (each associated with a trumpet solo treatment in schmalzy Continental-styled arrangements by conductor Jack Pleis. There are many spinnable sides here, including "And The Angels Sing," "Oh Mein Papa," "Tenderly" and "Star Dust."